For many job seekers, the employment process seems to be something terrible. Employers, in turn, just want to find hard-working and responsible employees. And first of all they look at the resume. The labor market isn't for nothing called the market. Imagine that the applicant is a product in this market. And every product should have a decent description to buy it. Where is the employer looking first and what are the most important points in the resume? Resumance identified four main points that should be given maximum attention. Much has been said about spelling and punctuation mistakes. It would seem that this is obvious, but why then staff managers continue to receive a resume with errors? One of the first things that catches your eye to the employer is the candidate's literacy. Sometimes HR managers specifically look for mistakes and typos in the resume to evaluate the candidate. After all, if the applicant hasn't bothered to check and correct them in such an important document for him, then how will he treat his work? Once again, check your resume, this is really important. Otherwise, use resume apps, many of which automatically check spelling. Also, the resume should be easy to read and understand. The employer least wants to see your experience dumped in one sentence, abbreviations, the meaning of which mayn't be known to him, instead of full names, etc. The resume should be easy to read and answer questions about you, rather than creating new ones. The ability to properly submit information is valued in many professions. You don't need to list every job in your entire life. Worked as a seller in a clothing store? Were the nanny for the child? It's not necessary to indicate this in the summary, unless you are interested in working in these areas. 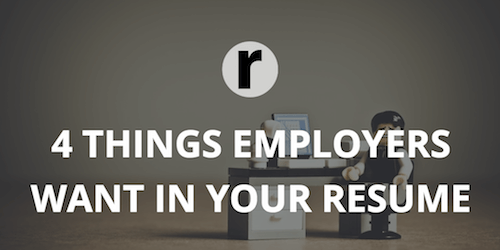 Read also our article on what things to remove from your resume. It's a big mistake to try to write as much as possible in the resume. The employer is interested in the experience of a relevant free position, and your career path should be logical. Lying in a resume is like walking on very thin ice. Often a lie immediately strikes the eye, and validating isn't a very difficult task. Extra places of work, inflated achievements, wrong education, etc. It's easy to determine by a pair of phone calls or during an interview. Don't force the employer to doubt your honesty. Having studied the main points of your resume, the employer will want to know the opinion of you from former employers. Recommendations are a good plus. The HR manager mayn't use the contacts that you provided. But the fact that there are people who can give useful feedback, and you're not afraid of it, will significantly increase your chances. Of course, you shouldn't expect that the potential employer won't take advantage of the chance to get your characterization from a knowledgeable person. All contacts must be up-to-date, check them before sending a resume for a job. Any employer needs employees who solve problems, but don't create them. Therefore, your resume should be open and understandable. Read our reviews of the best resume companies and use their services to never make such mistakes.